Weathered wood and rustic brown create a classic look for this 6 light pendant. 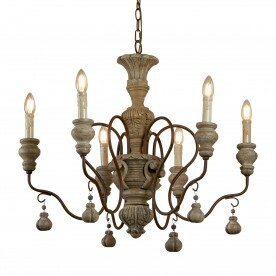 The body has a textured design and then proceeds to rustic brown arched arms that house candle holders. 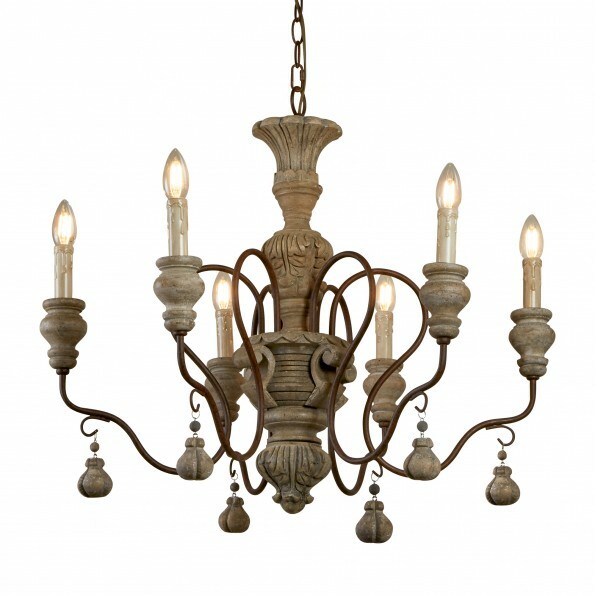 Hang from a high ceiling in a traditional home.